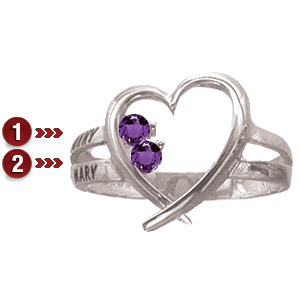 The Family Heart ring features personalization for 2 to 6 names and corresponding birthstones. Stones are 2.25 mm round. Engrave up to 7 characters per name. It is available with either simulated or genuine birthstones.